Nile Suwansiri, chief commercial officer of Thaicom. Credit: SpaceNews/Kate Patterson. SINGAPORE — Thaicom is considering ways to prolong the life of IPstar, its pioneering high-throughput satellite currently projected to run out of fuel in 2022. 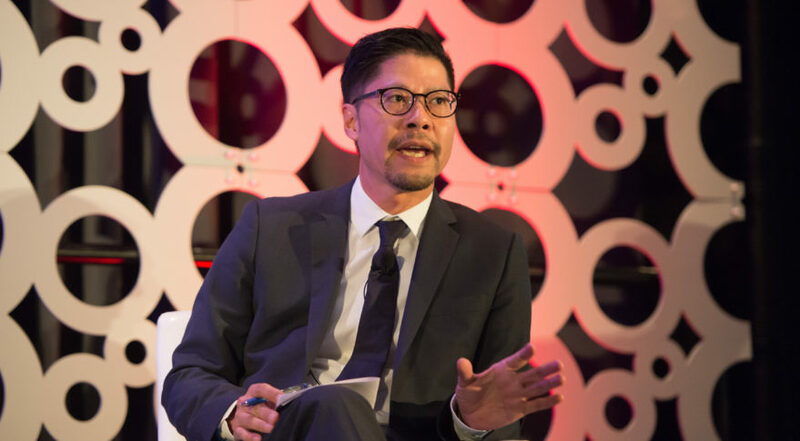 Nile Suwansiri, Thaicom’s chief commercial officer, refused to go into specifics on the company’s plan to sustain the first-generation HTS system, but said the satellite has enough fuel onboard to last about two years beyond initial expectations. Suwansari’s mention of life extension suggests Thaicom could be considering satellite servicing ventures like Maxar Technologies’ Space Infrastructure Services, Northrop Grumman’s SpaceLogistics subsidiary or U.K. startup Effective Space Solutions. Those three companies are building spacecraft that dock with satellites and take over station-keeping or inject a new load of fuel. Thaicom could also shift IPstar into an inclined orbit — a move commonly made by fleet operators that limits station-keeping maneuvers to preserve fuel on aging satellites. Inclined orbits come with a catch, though — satellites no longer appear stationary in their orbits, but sway back and forth, causing them to lose contact with fixed satellite dishes on the ground. Launched in 2005, IPstar was the highest capacity satellite of its time, offering some 45 gigabits per second of Ku-band capacity. Over its 13-year history, the SSL-built IPstar showed both the unprecedented capabilities and challenges associated with delivering satellite broadband to the highly fragmented Asia-Pacific market. Suwansiri acknowledged that IPstar, though still competitive today, won’t be for long as newer HTS systems with hundreds of gigabits or even terabits of capacity enter service. Suwansari said preparations are underway for a successor to IPstar, but gave no timeframe. A low-Earth-orbit constellation would be too expensive for Thaicom to pursue, he said. Suwansari, discussing HTS broadly, said future generations of the technology will offer capacity at prices “significantly lower than that of the first generation IPstar.” Those low prices mean satellite operators will need to provide services in addition to just raw capacity, he said. Suwansari said Thaicom wants to be “hyperlocal” in designing telecom solutions for HTS customers.